I live in a small rental unit in a rural town, with overhead power lines across the front of my block. As far as antenna’s go, the only thing in my favour is that many houses nearby have UHF CB colinears mounted on roofs or free standing at around 6-7m. 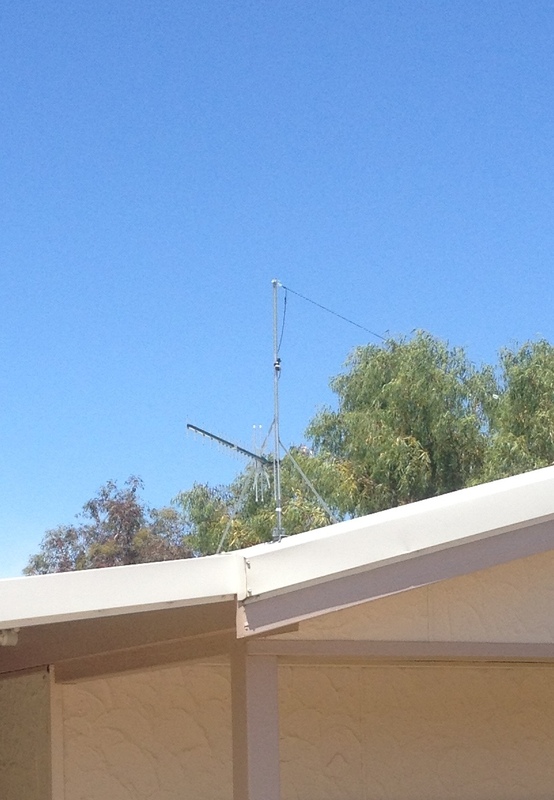 This proliferation of CB antennas is not a symptom of a thriving CB culture – more that mum and dad usually retire into town when sons take over the day to day operation of farms, and that before the widespread use of phones UHF CB was a staple of farm communications. Like many hams, I’m slightly snobbish about making my own wire antennas, however when I ordered my first radio I shelled out for a half-size G5RV made by MFJ – the MFJ1778M. My thinking was that I wanted to be on the air the day the boxes arrived – which I assumed would be sometime that same week. That order ended being a drawn out process (over two months) so in fact I had plenty of time to make a dipole. With the space restrictions I’ve got, and the background noise (usually S7-8 on 40m) I don’t expect wonders from any antenna I have up here, but the limited time I have for the hobby means that if I can only operate portable it won’t happen much. 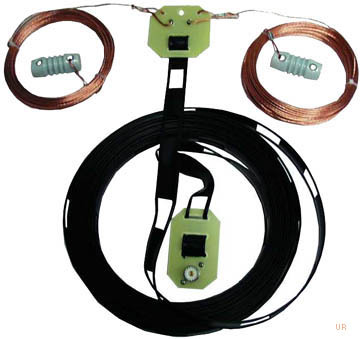 The G5RV ‘Jnr’ is basically a 30m dipole fed with 10m of 450 ohm ladder line. In the proper G5RV configuration it’s meant to be fed with a good length of coax connected directly to the ladder line. Part of the magic of the G5RV is that the length is chosen so it does not present an outrageous impedance at any of the main HF ham bands, so that with a tuner multi-band operation is possible. With the half-size version I’ve got, this should be 10-40m. The other part of the magic of a G5RV is the specific length of ladder line and the lump of coax on the end of this. I don’t follow the theory here, and it seems to be controversial whenever it’s discussed on the internet. Another reason for my scepticism is the trouble I had with fluctuating SWR from mine until I installed a 1:1 balun between the ladder line and coax. Dipoles should be installed at a height of at least half the wave length of operation. Since I want to work 40m with mine, it should be up at 20m. Since mine is at 6m I’m not expecting nice horizontal lobes. In fact in my current configuration I am basically operating NVIS (signals are being radiated mostly straight up and will bounce down in a cone around my location) which suits me fine – what I’d like to do is to be able to reliably make contacts around the southern half of WA. I purchased a 6m aluminium tube for the support for one end. This has a stainless link attached with a hose clamp. I use some parracord through this to raise and lower the antenna if I need to do any maintenance. For the support at the other end I have a similar arrangement terminated on the top of my TV antenna support. I thought the tension might bend the TV stick but it does not seem to have yet. Luckily one of the support braces is exactly in line with the antenna. You can see from the photos that it all looks a bit temporary. I really want the ladder line all perpendicular to the dipole, but as it’s so low this would mean it would be sitting on the ground. To avoid this, when it’s deployed it is pulled out to sit on one of my outdoor chairs. 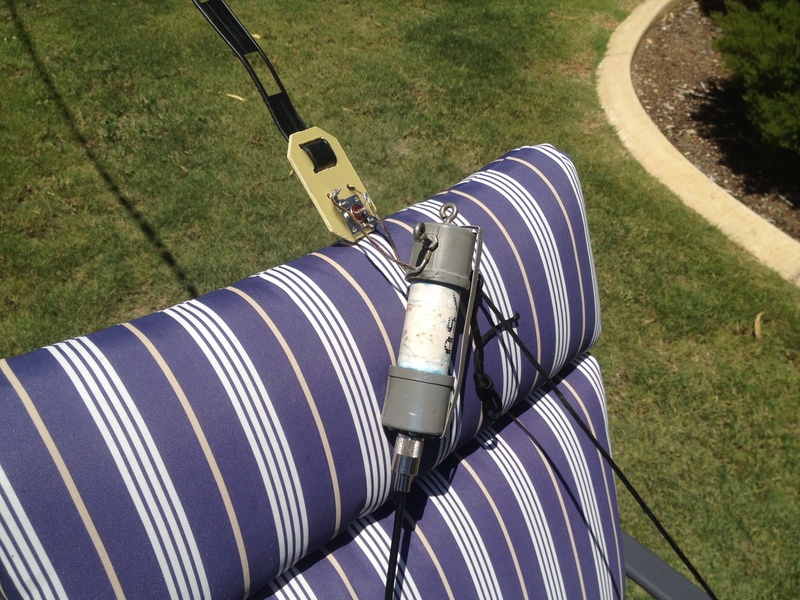 When I’m not operating, I just hook the balun up on a handy veranda post so it’s out of the way of the lawnmower man. 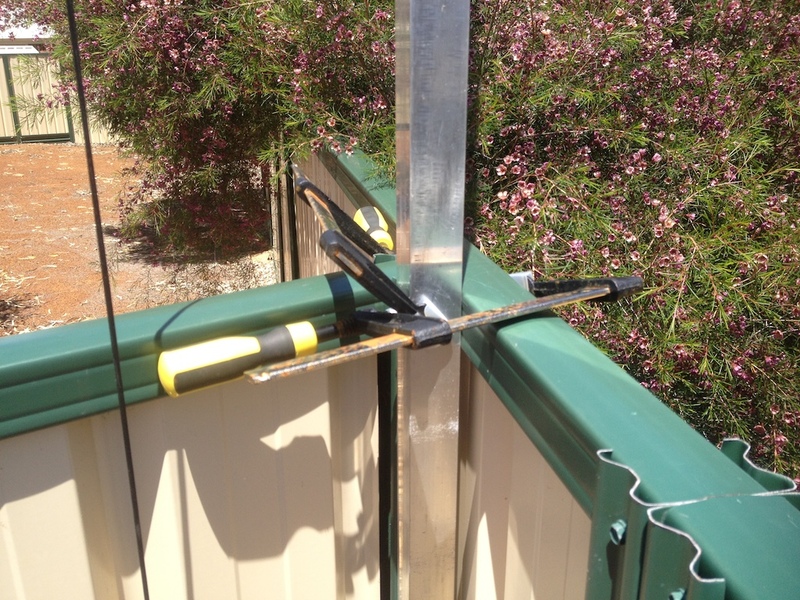 The other dodgy looking effort is the way I’ve attached the aluminium poll to the fence. I originally used the G clamps to hold it, thinking that the next weekend I’d fabricate a bracket that would slide down over it and the fence. After a few months this seemed less and less important and disappeared off my list of things to do. 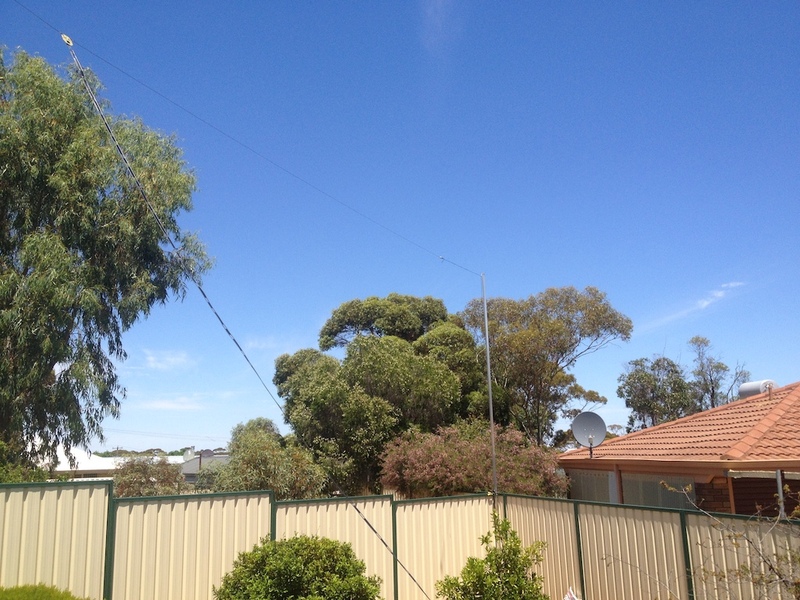 With this arrangement I’ve made solid contacts as far away as Tasmania on 20m and 40m. My main gripe is not having 80m. I can receive just fine, and can tune it up but the signal that gets out to Perth is tiny – not good enough for a rag chew. 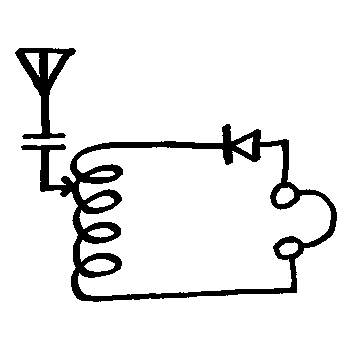 My plan for this is to try shorting the bottom of the twinlead and using it as a vertical with some counterpoise. I’ll do that one day… before I replace the G-clamps! Posted on November 15, 2015 by I Bailey. This entry was tagged antennas, G5RV, HF, MFJ-1778M. Bookmark the permalink.